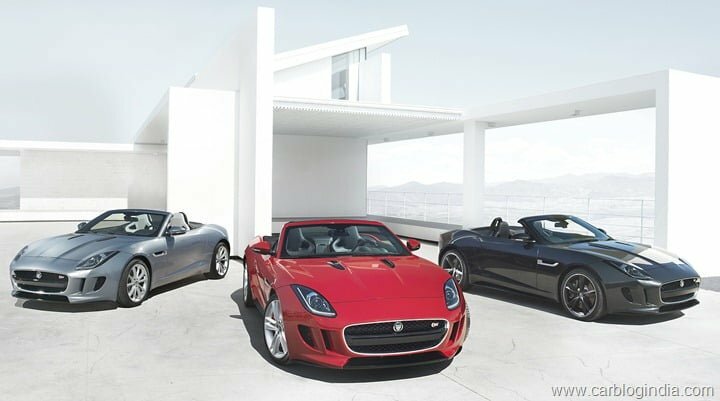 The 2012 Los Angeles Auto Show is round the corner and Jaguar has disclosed that it will be showcasing three new cars at the motor show. Starting from 28th November, LA Auto Show will witness the debut of the fastest and most powerful saloon the British manufacturer has ever produced, the Jaguar XFR-S, although the company claims so. Land Rover will be showcasing their US spec version of the Range Rover which is supposed to get a naturally aspirated, 5.0 litre, V8 engine. Jaguar will also be showcasing their recently unveiled F-Type, with an exclusive Black pack performance trim. Jaguar has remained very tight lipped about the development of the XFR-S sedan. At the Geneva Motor Show they came out with a sportier version of the XKR, the XKR-S and it was speculated that the company might be doing something similar with its XFR sedan too. Recently, the firm’s global brand director Adrian Hallmark said, “”’I can confirm there is a project to transfer the upgrades from the XKR-S to the XFR, but we haven’t confirmed it for production yet. But it would be great to see the XF with 550hp!” the XFR-S sedan will take on the German rivals like the hugely popular BMW M5 and powered by a 5.0 litre, supercharged V8 engine. The F-Type on the other hand has been one of the most anticipated launches this year from Jaguar after it showcased their concept jet engine powered CX-16 at the Frankfurt a year ago. First unveiled at the Paris Motor Show, the F-type, as Jaguar describes it isn’t designed to be like anyone else’s sports car, it’s a Jaguar sports car. with the F-type, Jaguar has tried to retrace its footsteps back to its roots of small, rear-wheel-drive two-seat coupes in the vein of the old XK120 and E-Type. The F-Type comes in 3 engine options; a 335 BHP entry-level version, a 375 BHP F-Type ‘S’ version featuring a supercharged 3.0-litre V6, and finally the highest spec 5.0-litre V8 version with 488 BHP in the ‘V8 S’ variant. All the engine options come mated to a 8 speed standard auto box with “quick shifts” powering the rear wheels.